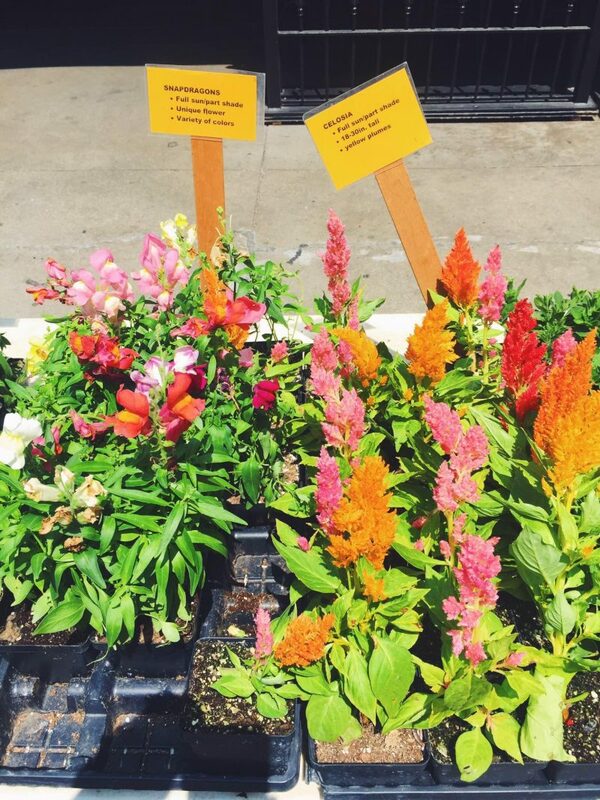 Chicago farmer’s market Saturday mornings are what summer dreams are made of, y’all. 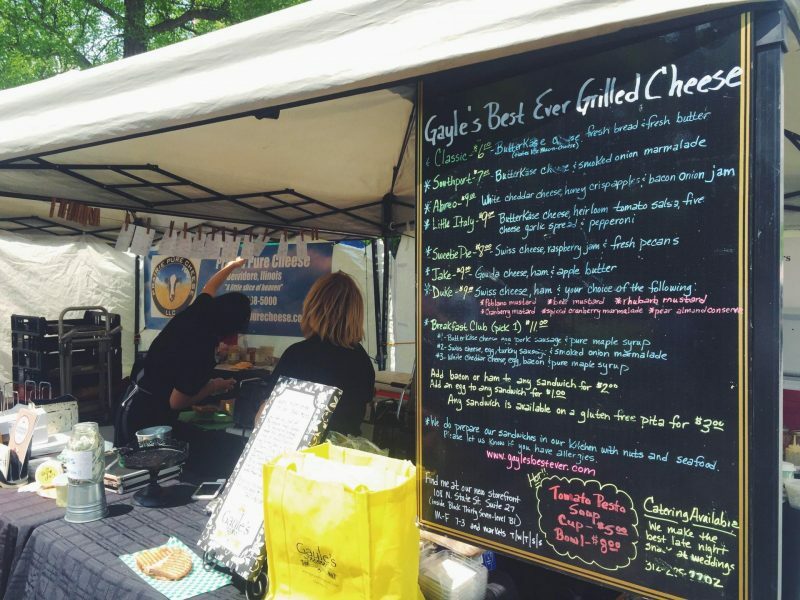 A few weekends ago, Eric and I set off to check out two farmer’s markets we missed from the end of last summer – the Green City Market in Lincoln Park and the Division Street Farmer’s Market. 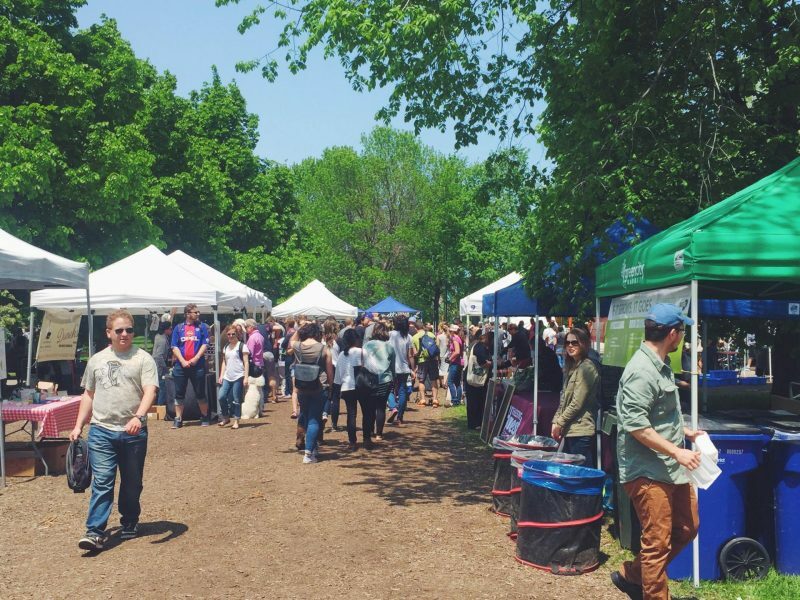 These markets run from May through the end of October, but prime time are these summer months when the sun is shining and everyone is out for some fresh goods. 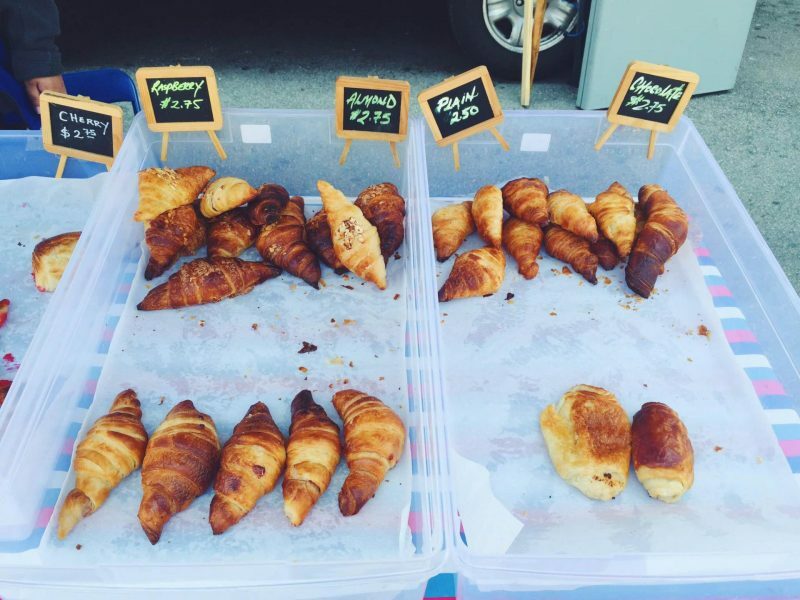 We don’t go prepared to do all our grocery shopping (although we have aspirations to be that adult one day), but we love to chat with vendors, consume as many samples as possible, and get some fresh baked croissants or grilled cheeses we can munch on while walking around. That time we picked up a chocolate croissant and coffee. There was also a crepe stand set up that I’ll be making a beeline to next time. I was pretending we were in Paris again, since pain au chocolat and banana-nutella crepes were basically our diet for the whole week we were there. We realized that come 12:00 pm, a lot of the vendors were definitely low on their stuff. If you’re set on having your range of choices, or getting some of those drool worthy mozzarella sticks that have people lining up in Lincoln Park, I’d aim to get there at least closer to 10:00 am! Um, also, if you’re a dog lover like me – huge perk to attending a market is that there are literally so many dogs of all breeds and ages. It kills me. All the owners Eric and I went up to were so nice, we had to get our petting quota in. We’re long overdue for our next farmer’s market trip – hopefully this weekend! Previous Post Currently 7.1 // Happy Early 4th of July!